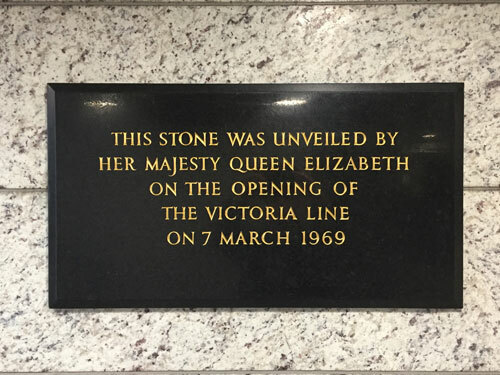 50 years ago today, on Friday 7th March 1969, the Victoria line was officially opened. It had been running along a shorter stretch of line from Walthamstow Central to Warren Street since December 1968, but this was the day it finally reached Victoria. It was also the day the Queen opened it, naming it after her great-great-grandmother and going for a ride. Getting the Victoria line built proved a financial and engineering struggle, but taking the modern approach proved a blinding success and today London'd be lost without it. A (very) quick history: Plans to link Victoria and Finsbury Park by tube first emerged in 1937, identifying a need to link mainline stations and provide an alternative to the busy Piccadilly and Northern lines. It took years to settle what the northern terminus of the line should be, with early suggestions including Chingford, Enfield, Cuffley and Waltham Cross, while possible southern destinations included Morden and Croydon. Lack of funding cut back these more adventurous schemes to a Walthamstow-Victoria core, which was tabled in Parliament in 1954 and finally got the go-ahead in 1962. A southbound extension to Brixton was agreed in 1965, and fully completed in 1972. To read more than four sentences on this subject, try here, here or here. 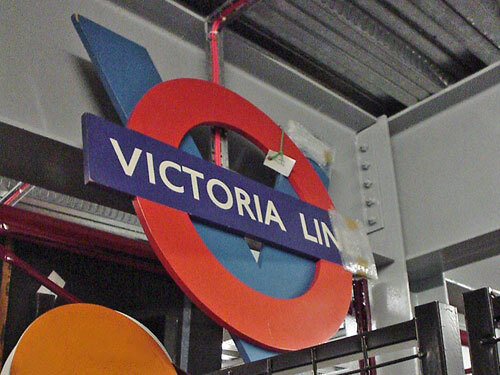 Victoria line trivia 1: The 'Victoria' name was chosen in 1955, before which the line was known as Route C. Other suggestions were Walvic (Walthamstow–Victoria), Viking (Victoria–King's Cross), Mayfair and West End. Victoria line trivia 2: A key part of the scheme was to provide easy interchange along the entire route, hence every station but one is served by either National Rail or another Underground line. 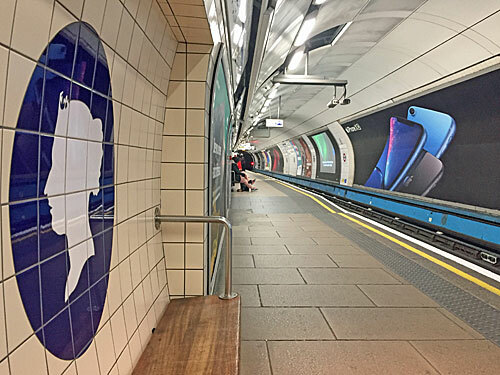 Victoria line trivia 3: The laid-back grey and light blue colour scheme was devised by a consultancy firm called The Design Research Unit, whose view was that dynamism would be provided by the people and adverts. 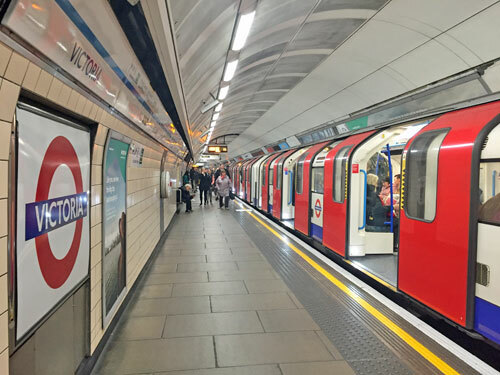 Victoria line trivia 4: The entire line is underground, apart from the staff-only connection to the depot at Northumberland Park. Victoria line trivia 5: Victoria line tunnels are a bit bigger than their Edwardian counterparts, allowing Victoria line trains to be 4cm wider than those on the Piccadilly, Northern, Jubilee, Bakerloo or Central. Victoria line trivia 6: The latest Victoria line trains seat 324, and have an official passenger capacity of 864. Victoria line trivia 7: Although not the busiest tube line, the Victoria line is by far the most intensively used. Victoria line trivia 8: Trains now run just 100 seconds apart at peak times - that's 36 trains per hour. Daytime frequencies are generally 26tph, but 30tph on Saturday afternoons. Victoria line trivia 9: Across the tube network, only the Waterloo & City line is shorter. Victoria line trivia 10: If you fancy 1hr 40 minutes of Victoria line construction documentaries, this link will keep you occupied. Tile pattern: Showing minimum imagination, but maximum artistry, the silhouette of Queen Victoria was designed by Edward Bawden. Nearby development: A mighty amount of redevelopment has taken place around Victoria this century, starting off with Cardinal Place and continuing with Nova, Verde and other shiny spiky office behemoths. Even now the area still resembles a building site, the big hole beside the Victoria Palace Theatre a case in point, and every time I'm forced to dodge across the bus station I wonder if it'll ever be finished. Station development: The first underground station served the District Railway and opened on Victoria Street. For the next 100 years there was no direct connection to central London, which proved increasingly awkward. For the opening of the Victoria line a new subterranean ticket hall was opened between the District line station and the mainline station, with escalators down to the platforms. The 43m foot tunnel connecting the two ticket halls is a 1990s construction. Eventual overcrowding required the building of an additional main entrance beside Cardinal Place (opened 2017) and an extension to the southern ticket hall (opened 2018). Step-free access is now available throughout. Plaques: The plaque the Queen unveiled fifty years ago has been moved to the foot of the Wilton Road staircase. 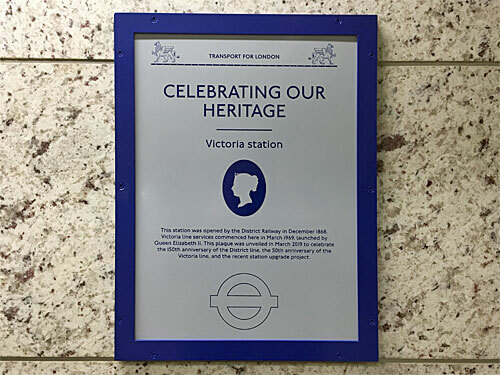 A brand new plaque has appeared this month, commemorating 150 years of the District line, 50 years of the Victoria line and "the recent station upgrade project", although in reality it's more a sheet of paper in a plastic picture frame because there isn't the money to spend on artisan chiselling these days. One-way system: Having given the newly enlarged station a few months to bed down, TfL are taking advantage of fresh connections by closing the Victoria line escalators for repair. A one-way system kicked off a couple of weeks ago, and will continue until summer next year, affecting anyone attempting interchange with or access to the Victoria line. I attempted the trek from the southern ticket hall to the Victoria line platforms and was directed by signs and staff along a sinuous foot tunnel, then sharp left to the shorter escalators usually used for District line access. It only took two minutes in the middle of a weekday, but if this is your regular commute for the next 16 months my sympathies. Down below: You know what a Victoria line platform looks like by now. One extra thing to look out for here is the black and blue tiling of Design Work Leisure, an Art On The Underground project we last met at Blackhorse Road. Inbetween: The concourse between the platforms is divided into two distinct parts, one of which (normally) leads to the southern ticket hall. The other half has two sets of facing escalators, one to the District line (in the centre of the platforms) and the other to Cardinal Place. One consequence of the odd spacing is that "Please Pass Along The Platform" signs are needed to spread passengers away from the point of entry. Factnugget: Victoria was the southern terminus of the Victoria line for 868 days... so see you back here in July 2021. All the photos: Ninety-two, here (or slideshow here).